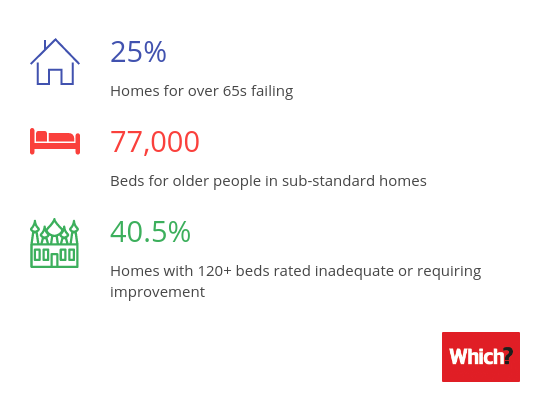 Overall, more than 77,000 beds for older people in England are in sub-standard homes, Which? research has discovered. These are homes rated by the regulator, the Care Quality Commission. Our research also uncovered big variations in quality between the largest providers: 35% of Four Seasons’ homes in England were rated inadequate or requiring improvement, compared with just 15% of Sanctuary Care’s homes. 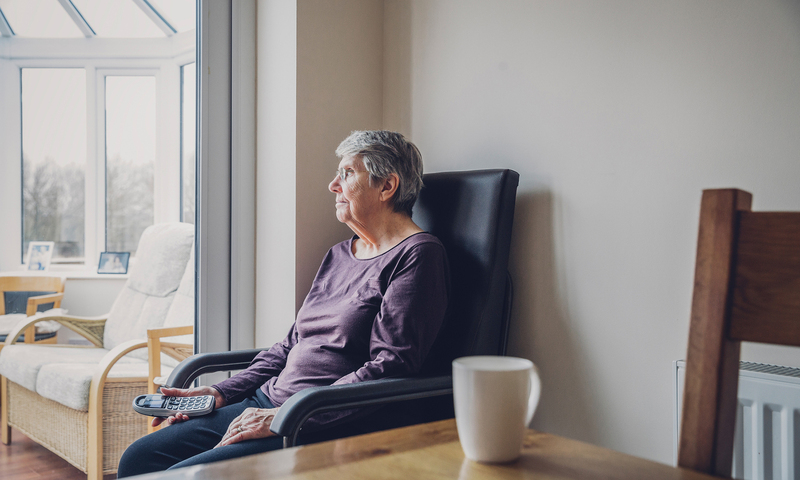 Four Seasons was the worst regional provider in our analysis of care homes for older people in the West Midlands, East and South West of England. It came 43rd out of 54 providers overall in England. There were some success stories, however. 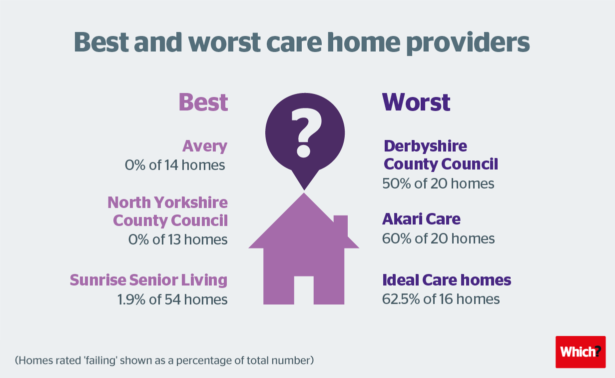 At the top of the table, both Avery, which operates nationwide, and North Yorkshire County Council, had all their homes rated as good or outstanding. You can make a difference. Help our Care Needs Care Now campaign convince the government to confront the care crisis before it’s too late. Find out how your local homes are doing – see our full list of best and worst providers. And join the Which? Conversation about what we can learn from undercover care home visits. Homes rated poorly overall are meant to be re-inspected more regularly. However, Which? found that several of the worst-rated homes haven’t been inspected in more than a year. 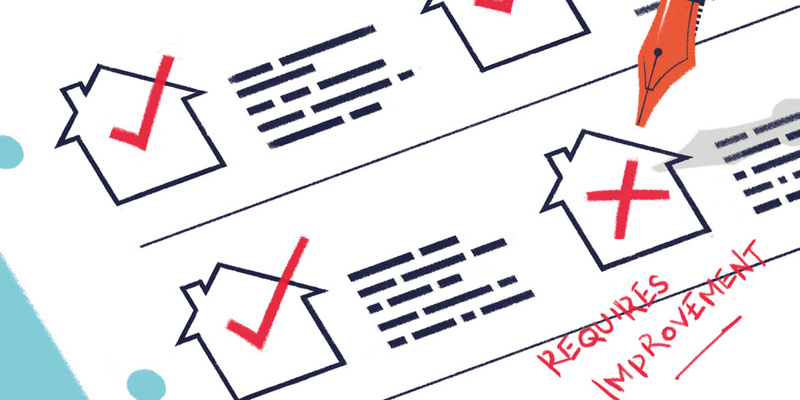 If a home is in special measures, an inspection is required within six months. But one care home in special measures in Cumbria, for example, hasn’t been inspected between April 2016 and December 2017. Inspectors found ‘multiple breaches of legal requirements’, ‘evidence that people were being exposed to harm or the serious risk of harm’, with a number of ‘unhygienic and dirty’ areas. We also uncovered variations within each region. In the North West, 53.3% of all care homes in Stockport were rated inadequate or required improvement – yet that figure was 7.1% for Bury. Similarly, in the South East, none of Milton Keynes’ 15 or Reading’s 12 care homes were rated inadequate or requiring improvement – while 58.3% of Portsmouth’s 24 homes were. There’s a north-south divide in care quality in England, too. Of the 2,224 homes in the North West, North East and Yorkshire & the Humber regions together, 29.6% were inadequate or required improvement. For the rest of the country, it was 23%. Of the 137 outstanding homes in England, more than half (71 homes) were in the South East and South West. Are you, or is someone you know, looking for a care home? Then you might want to consider its size and whether the council or a private company is running the home. Smaller homes are rated better than larger ones: just 12.9% of English homes with 10 beds or fewer were rated as inadequate or requiring improvement. This rose to 40.5% of homes with 120 or more beds. Council-run homes performed slightly better than privately run homes: 20.2% weren’t up to scratch, compared with 25.1% of privately run. Which? analysed the Care Quality Commission December 2017 inspection data of 7,619 care homes for over-65s, including 4,242 providers. The 10 largest operators run just 12% of the homes. 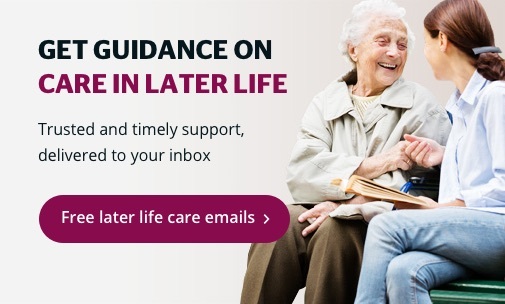 Considering care for a relative? We can help you make sense of choosing a care home. Previous Which? 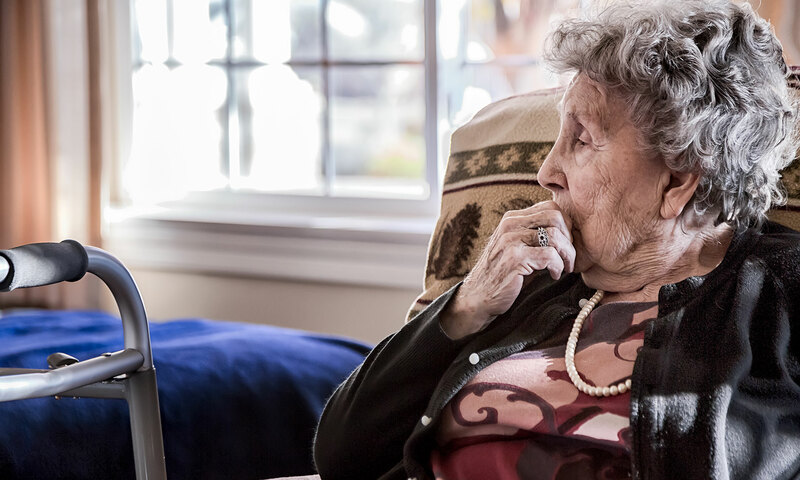 research has shown that almost nine in ten council areas across England are facing a shortfall in care home places by 2022 – and some of those areas already have more than half their beds rated as requiring improvement or inadequate. Which? is calling on the government to act urgently on the Competition and Markets Authority’s (CMA) recommendations on information provision, complaints and unfair charges, and to use its Green Paper to set out how it will deliver a sustainable system that provides affordable, high-quality care for all. Which? managing director of public markets, Alex Hayman, said: ‘Too few providers are able to offer consistent, high-quality care – limiting choice for stressed families in a system which is already close to breaking point.